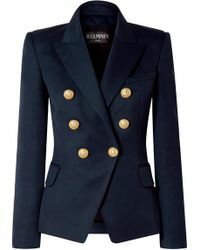 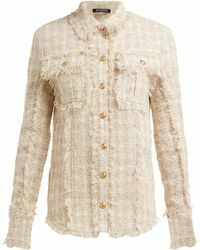 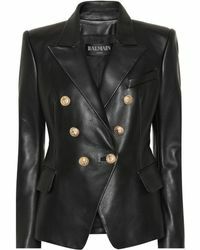 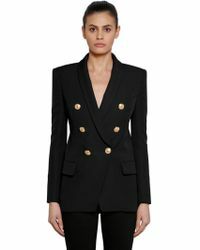 Balmain jackets are the easiest way to command attention. 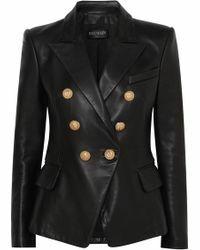 Forget the Left Bank look of trench coats and Breton stripes, this is one French brand that proves it's anything but classic with this collection of amped-up military blazers and directional leather jackets. 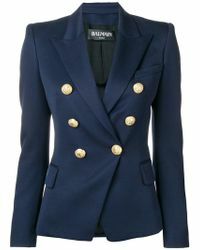 From double-breasted peacoats with structured shoulders to heavily embellished pieces, you need a Balmain jacket in your wardrobe, stat.